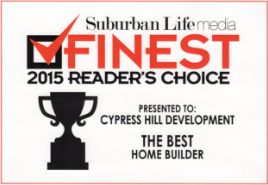 At Cypress Hill Development, we have been building custom homes in the Western Springs area for 15 years, and we have over 30 years of combined experience in real estate, construction, and corporate finance. Our focus is delivering your home at the highest level of quality and value. With our experience and expertise we are able to help grasp your ideas for your dream home and turn them into reality. Never being satisfied with mass production or cookie cutter homes, we feel a great sense of pride in building quality custom homes that you will love and that stand the test of time. For more information on our custom home builder services in Western Springs, call us today at 630-241-9330. Or you can fill out the form to the right and one of our qualified representatives will respond as soon as possible. From the preliminary design sketches to the moment you move into your custom built home, we are with you every step of the way. We work closely with you to keep you well informed and involved as we progress on your custom home. 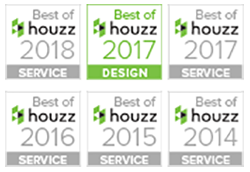 Since we only take on a handful of custom homes a year, we are able to dedicate our time to providing a uniquely personalized approach throughout the home building process. While serving as your design consultant and your general contractor, we manage our experienced team of architects, suppliers, subcontractors, and other business partners behind the scenes to help ensure that the home building process runs as smoothly as possible. We strive to keep the process as organized and stress free as possible to help make the entire experience a positive one. At Cypress Hill Development, we have the industry experience you need to get a new custom home designed and built. If you are looking for a build-to-suit lot, or if you already have one and are looking for a custom home builder in Western Springs, call us today at 630-241-9330. Or fill out the form on the right and one of our experienced representatives will get back to you soon.